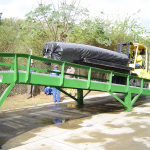 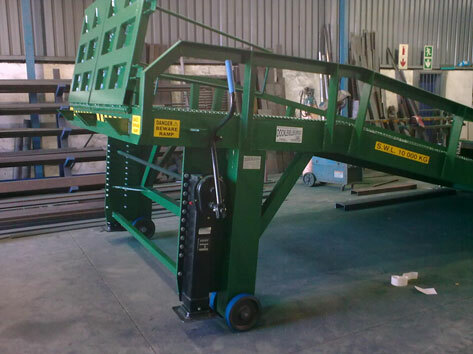 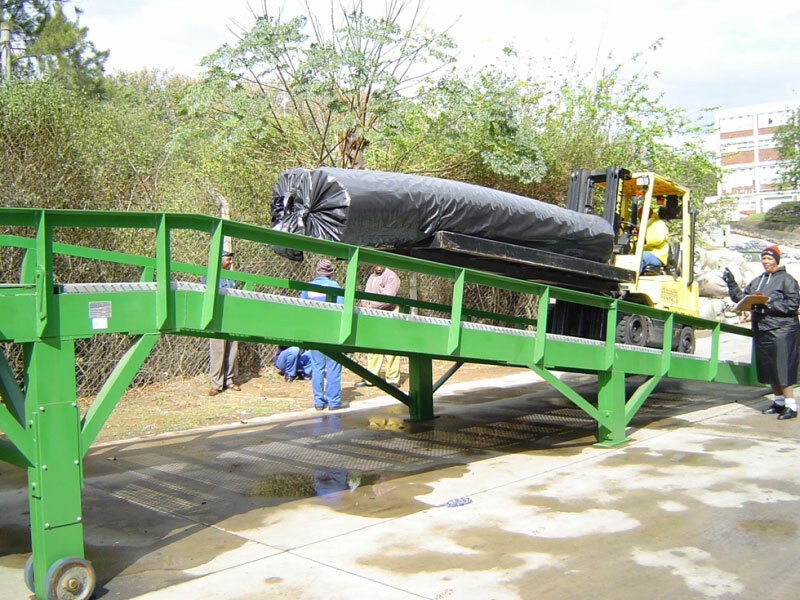 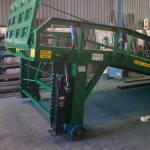 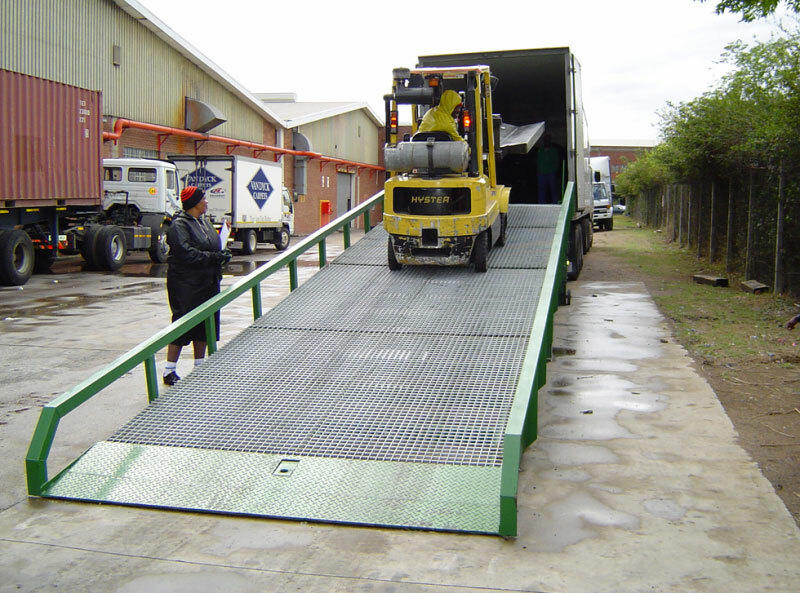 For use in the yard – The Mobile Ramp works when you have no loading dock the cost of having to raise the warehouse floor is avoided It gets the forklift inside the vehicle for quick loading /offloading. 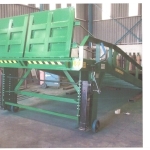 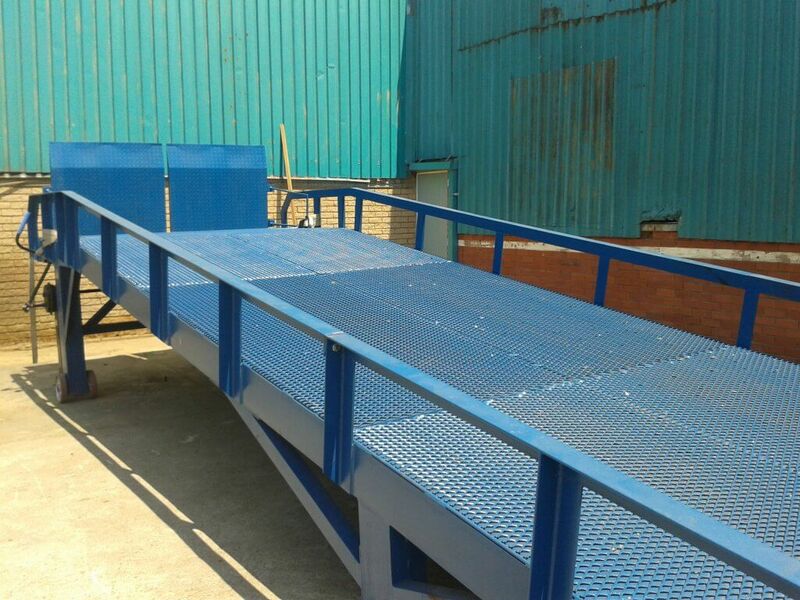 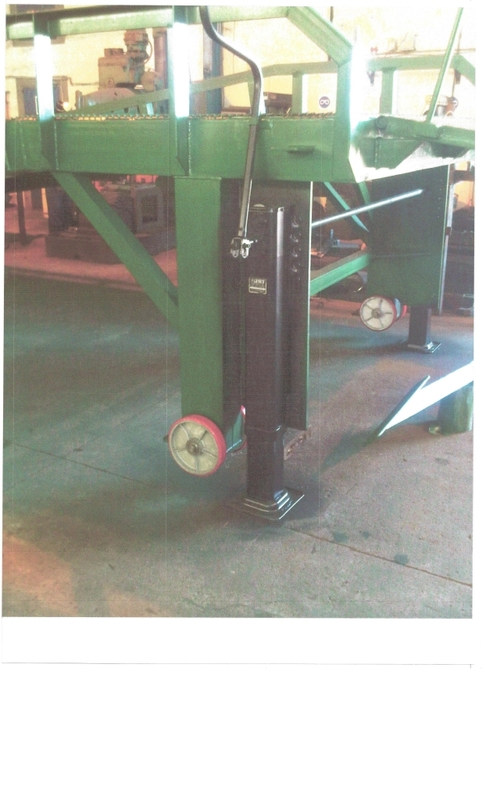 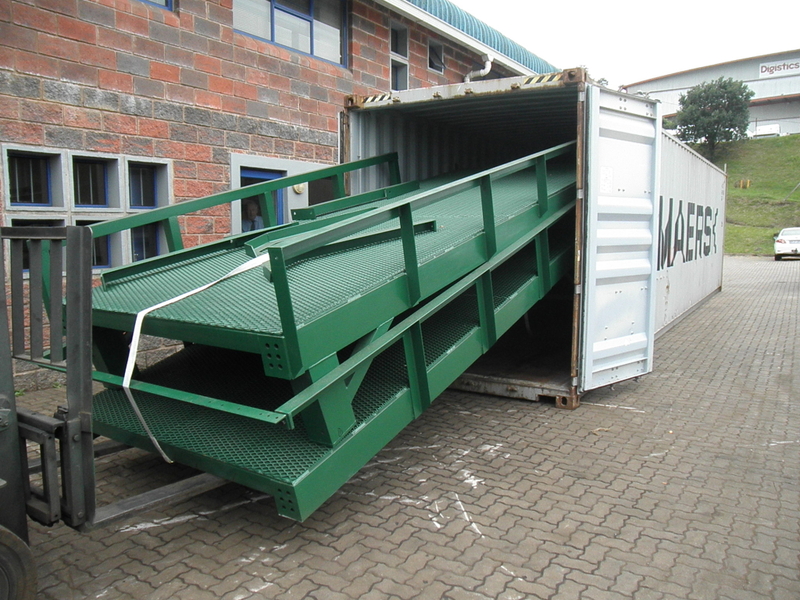 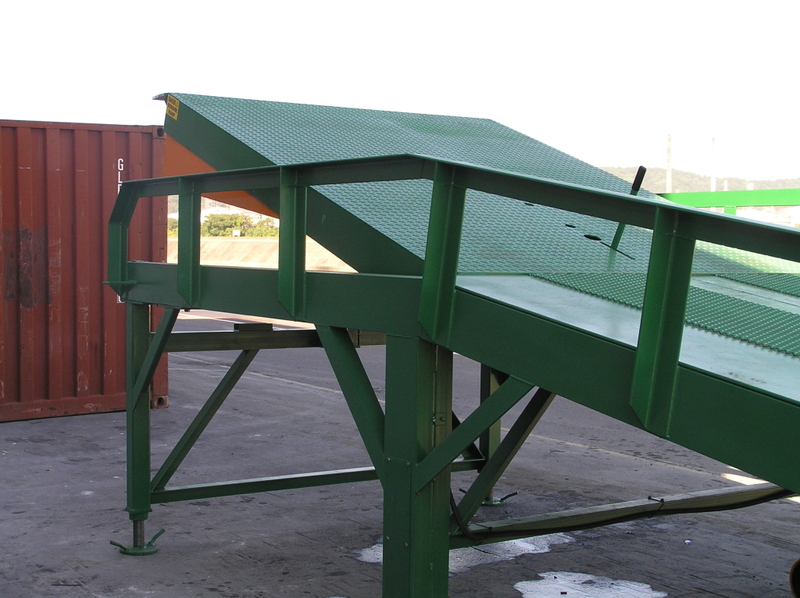 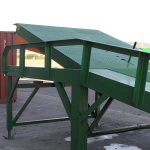 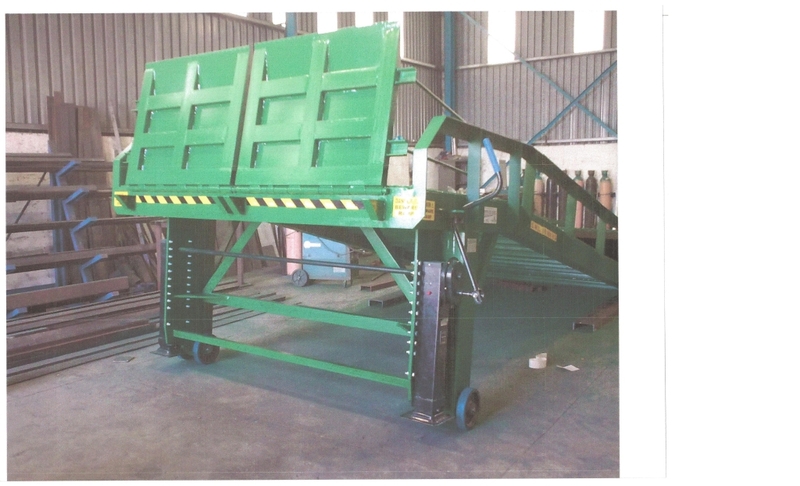 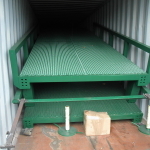 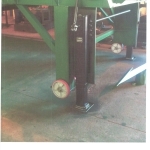 We supply these ramps both as local units and as exports. 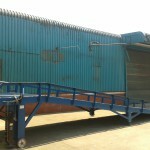 Is not an attachment to the building and so is of value in rented premises and can be moved between sites if necessary. 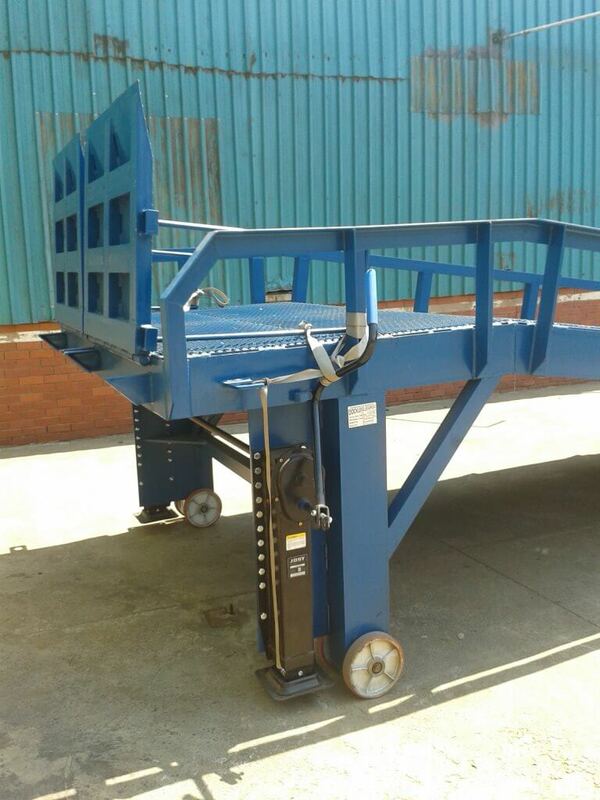 It has fully adjustable telescopic legs to meet the varying height of vehicles. 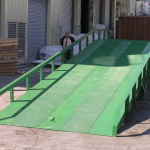 The Mobile Ramp has two independent lips that hinge into the back of the truck, thereby taking up the difference in movement up and down by the vehicle. 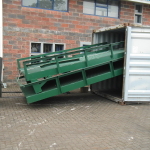 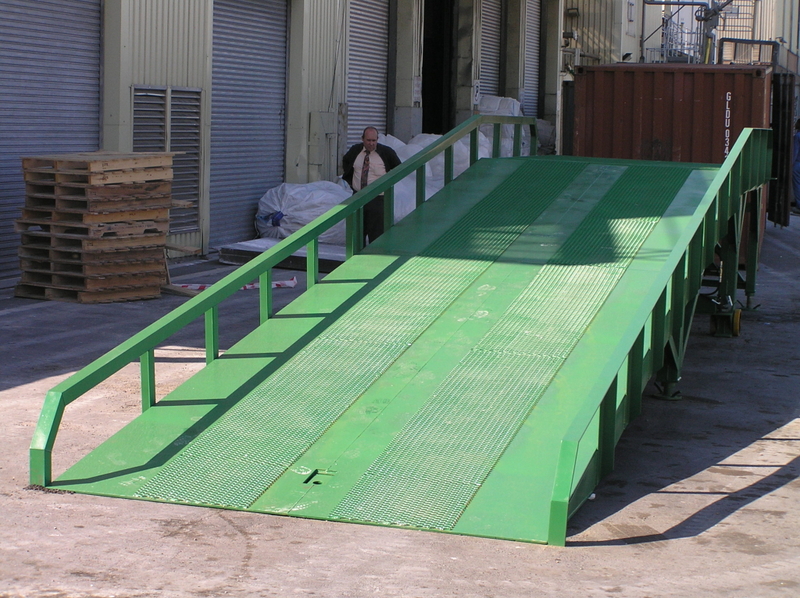 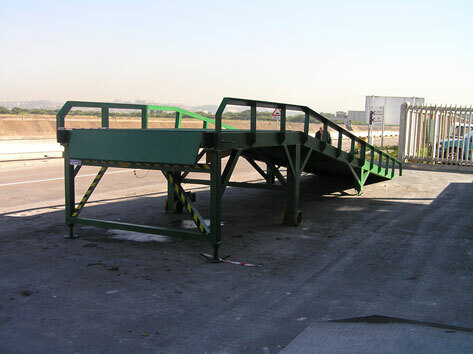 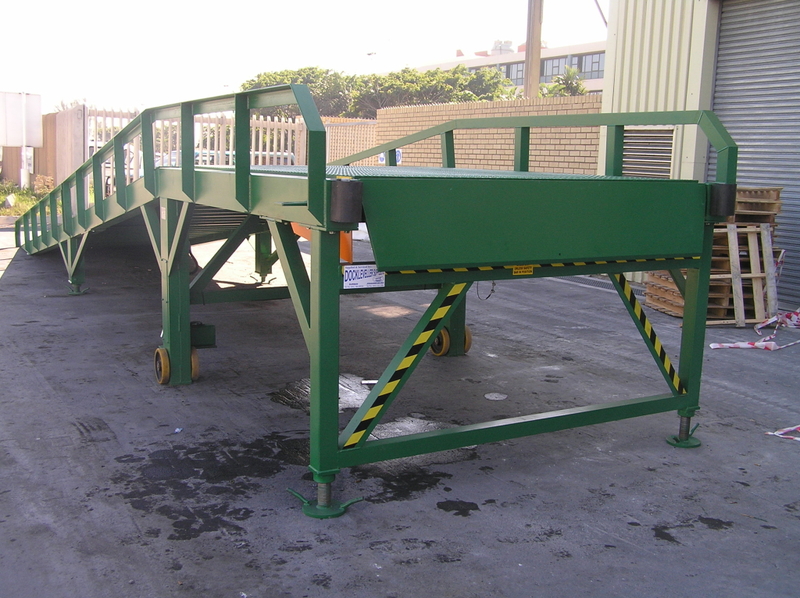 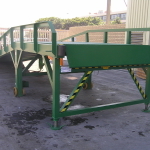 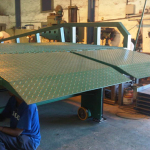 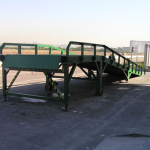 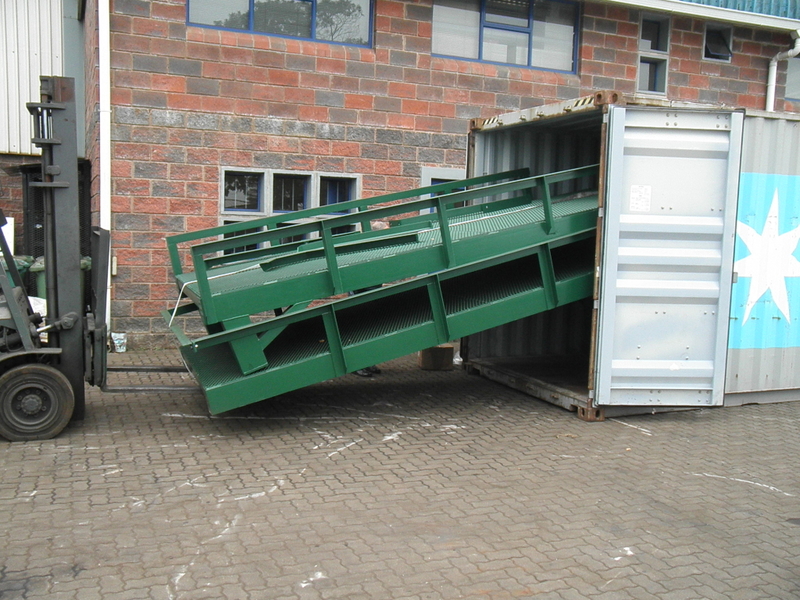 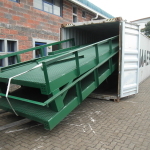 The Mobile Ramp can be supplied with a Dockleveller built in to the top of the ramp. 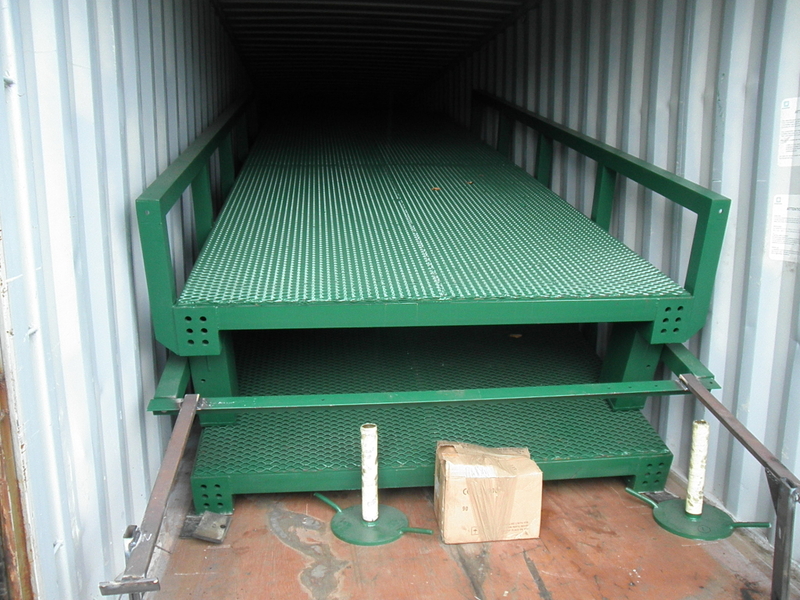 NB In the picture on the top left you will notice that the deck is made from mentis grate. 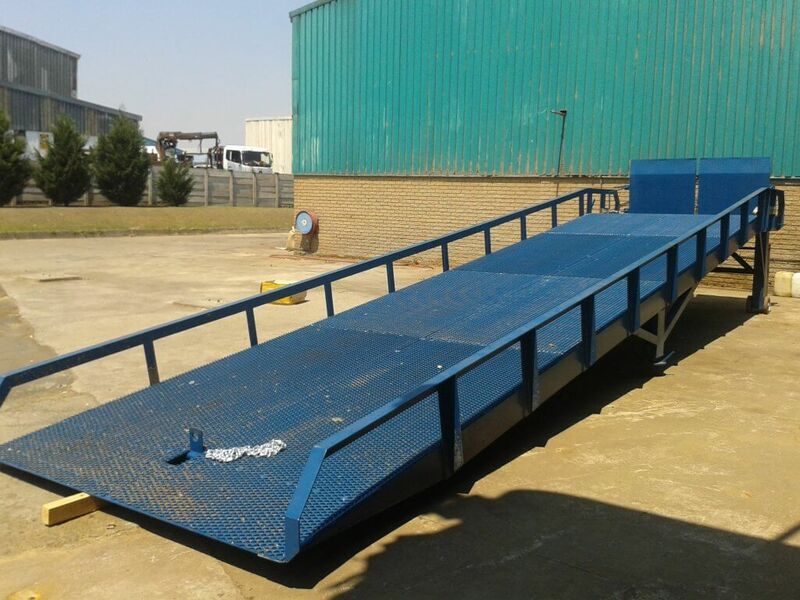 This is our old deck design which we longer use as we found it to be Troublesome. 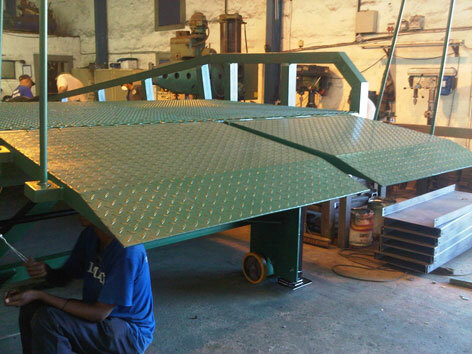 Our new deck design is 10mm plate (Seen in the gallery) supported by the superstructure of the ramp and then expanded metal over the top. 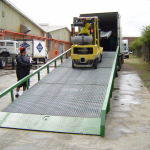 This has the benefits of being much stronger, rutting does nor occur as with the mentis grate deck and the forklift has much more traction in all weather conditions.